As I mentioned earlier, my first gut-instinct was that this was simply related to the difficulty of performing on stage. After all, Hollywood has a long-standing tradition of giving a single role to twins (or similar looking children)1 if the actor or actress is deemed too young to reliably perform all of their scenes. And hey, Sailor Moon is full of twins as it is, so it’d even work out okay if they appeared in the same place! Unfortunately, this theory kind of fell apart when I learned that the twin rabbits didn’t actually perform together. The exact mechanism for how this was done was different for each musical production, but they were either divided up on a per-day basis, or they would split the day and night performances between the two actresses. Audiences would come to the venue on the day of the performance and there would be a signboard out front, telling them who “Today’s ChibiUsa” would be. Hmm, if it’s not related to the young actresses’ ability to perform their roles, then what is it? Read also: Does ChibiUsa Come From an Alternate Timeline in Sailor Moon? So what does Japanese law say about child labor? Well, generally children under the age of 13 are prohibited from working, and even when they are allowed to work, it’s only in certain pre-approved job categories that involve minimal labor until the age of 15.4 But, as we all know, for every rule there is the exception. With respect to a child employed pursuant to paragraph (2) of the preceding Article, the Employer shall keep at the workplace a certificate issued by the head of that child’s school certifying that the employment does not hinder the child’s attendance at school, and written consent from the person who has parental authority for, or is the legal guardian of, the child. So what we’re basically saying here is that a child may only act or otherwise work in a production if the principal of their school certifies that the work they’re performing won’t negatively impact their schooling, and their parent/guardian has given their consent. Considering that each of the musicals are only ~2 hours long or so, it can’t be all that huge of a disruption to play all the performances, right? For those that don’t spend their days reading up on Japanese laws,7 what this essentially says is that children under the age of 13 hired to work in the entertainment industry are only allowed to work seven hours a day, however, both school hours and and working hours count toward that same limit. The same applies on a weekly basis, with a cumulative total schooling and working hours limited to 40 per week. When you look at it in that light, you can definitely see how it could make sense to just have two actresses perform the role, rather than micromanaging schedules. Though the restrictions put on child performers are imposed under the Labor Standards Act, it’s interesting to see that the reason for these protections generally have nothing to do with concern for overworking the children, but rather for ensuring that they’re receiving a proper education. This is still a noble goal, of course, but definitely not the result I would have expected. 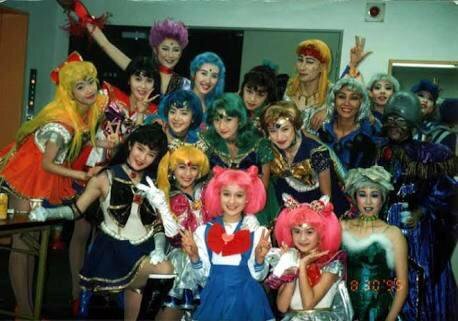 One question left unsolved for me, though, is why there weren’t always multiple actresses playing ChibiUsa. Since the laws were pretty strict, and in most cases the young performers playing the role were under the age of 13, you’d figure that it’d make sense, right? My best guess is that maybe some of the musicals held fewer performances per week, thus allowing then to work around the restriction. But I have no way of confirming that If you know where to find more detailed SeraMyu performance information, I’d love to check it out! ← Prism Power Book Kickstarter Now Live! This is not uniquely Japanese but applicable worldwide. For example, the Matilda musical featured three or even four child actresses in the titular role. In general, laws surrounding child performers have been tightening around the world; governments increasingly realize that parents of child performers may be in conflict in interest, so state intervention is necessary to protect the children. I hear this is also common in the musical Annie. I wasn’t able to confirm it, but apparently that was the first musical to introduce the concept of “double casting” to Japan. 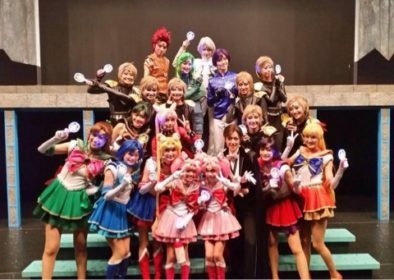 I always wonder how fans feel when they buy the DVD/VHS of the SeraMyu and the recorded version doesn’t contain their favorite ChibiMoon. I doubt many people really care that much, but it’s definitely a possible point of conflict! I assumed it was something like this. It’s a similar reason for why Olsen twins played the same role in Full House, and twins have been used for other similar situations as well. Still, it’s not like all the child roles had to be played by two people… obviously there are differences between TV and a live performance in a costume though, and different laws. Looks like she started playing from the Summer 2001 season, when she was 12, and then would have turned 13 in September of that year. Maybe they just kept performances to a minimum? I also haven’t looked into it, but the ~1 month summer break may also be taken into account since there wouldn’t have been any schooling during that time.